As a little kid, I remember struggling to sleep the night before Christmas and the night before the first day of school. More recently, I’ve struggled with sleep the night before our trip to Guatemala and the nights before big meetings at work. In all these cases, I am so focused on the next big thing on my schedule. In the intensity of my thoughts for the future, I miss out on sleep. On a larger scale, we spend so much time focusing on the big events in our lives – things like college, marriage, home purchase, children, promotion, and retirement. In our focus on these next big things, we often miss out on the life that is going on right around us. 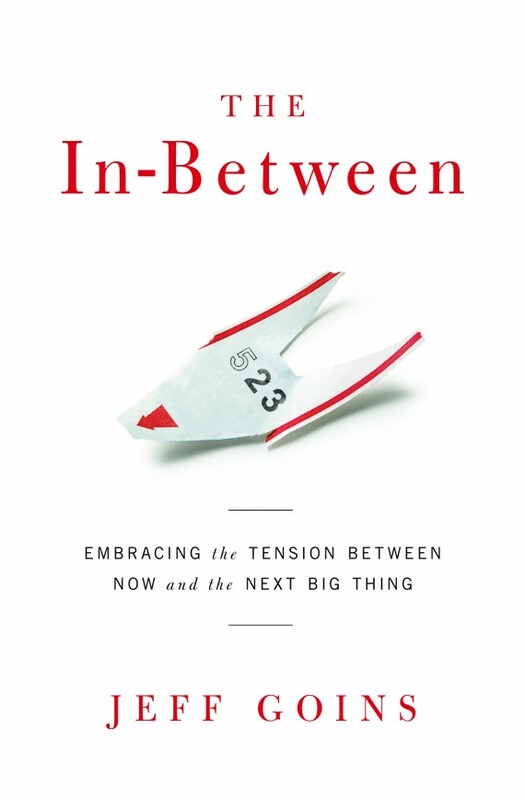 In The In-Between: Embracing the Tension Between Now and the Next Big Thing [A Spiritual Memoir] , Jeff Goins shares stories from his own journey in learning to live in the spaces between the big events of life. The In-Between is part memoir and part call to action. Jeff stories will draw you in and take you to places of “in-between” in his life. These are stories in which we can all relate. And he will challenge you to appreciate and embrace the everyday life you are living right now. As I read The In-Between , I literally found myself smiling, crying, and thinking. I thoroughly enjoyed the book, and I would recommend it to anyone who needs a fresh look at life. I’m giving away a copy of The In-Between to a “lucky” member of The Stretched Community. The winner will be selected at random from the top ten commenters this month (October 2013) on the blog. Your chances of winning increase the more you comment. I’ll announce the winner at the beginning of November. If you can’t wait, pick up a copy yourself by clicking the link below. What are you waiting for? What are you doing while you wait?